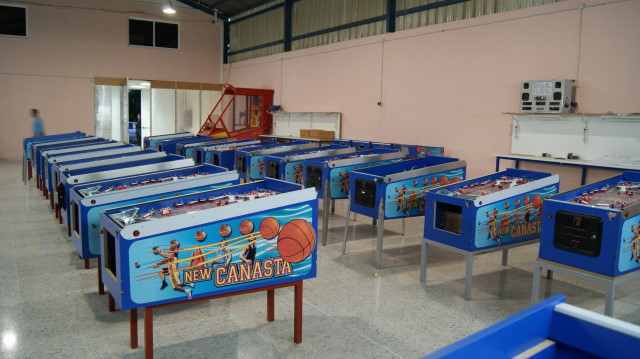 Marsa Play is a spanish company, which announced early april 2010 they had produced 25 prototypes of their new pinball machine: Canasta. 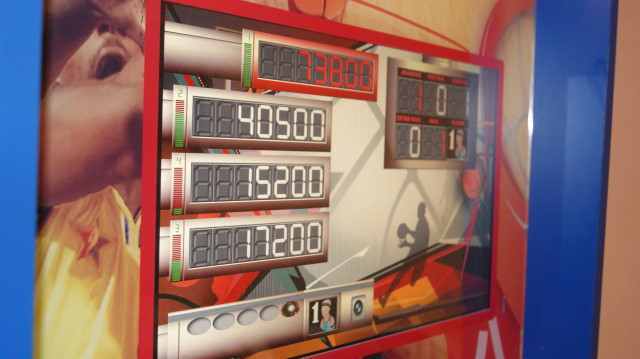 It is a remake of the 1986 Canasta pinball machine by spanish company Inder, using new technology. At the moment not a lot of information is known. There is some technical information which sounds very promising. There are a lot of innovations that make it easier for operators to repair the game, and which make the game also look different from all other games made in the last 10 years..
A view of the factory showing the prototypes being built. Playfield is a remake of 1986 Canasta game by Inder. The most important visible difference is a TFT screen used in the backbox. 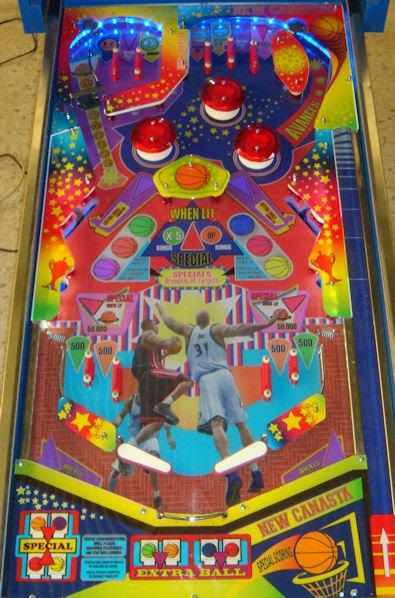 Bingo machines and other arcade and skillgames had it for years, only pinball machines were stuck with 20-year old DMDs. 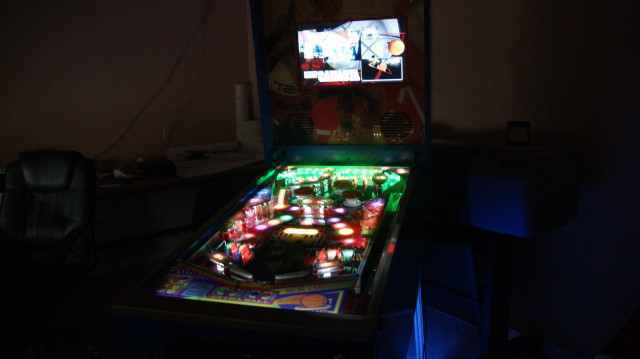 Other changes that are obvious for the player are that all lights are leds. All lights used are leds. Microswitches have also disappeared, no mor wires sticking through holes in the playfield.. 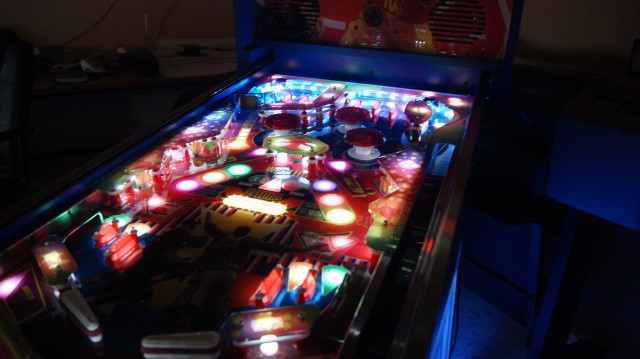 The game uses sensors under the playfield that detect a pinball. 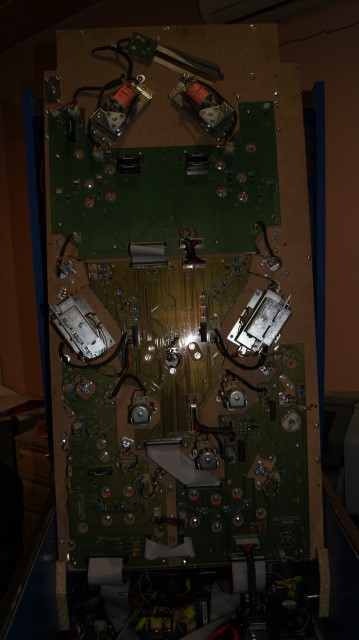 Further technical improvements are interesting for operators: a protection so coils cannot short and burn, and there are almost no wires underneath the playfield: components are mounted on large circuit boards. Only pcb boards at the underside of the playfield. The traditional dotmatrix display has been replaced with a TFT screen. It will be interesting to see what will become of this game and company. At the moment it looks more like a toy machine. Maybe this will turn out like the Vacation America pinball machine (which was a home-machine) did, it disappeared after a year. But it's possible this game will become popular among Spanish/European operators and the company will make many new designs. I certainly hope so. Their first prototype may be a simple game (as the playfield is based on an old design), but their technical improvements are the most exciting and allow for much more complex and interesting games.